Honest History notes the death on 16 September of Emeritus Professor John Molony, distinguished historian across a wide range of subjects. He was 91 years of age. There is a notice in the Melbourne Age and in the Canberra Times. Honest History extends condolences to John Molony’s family, friends and colleagues. His book , Captain Cook: Claiming the Great South Land, was reviewed last year for Honest History by John Myrtle. After many years as a Catholic priest, John Molony began his academic career at the Australian National University in the mid-1960s, becoming one of Australia’s finest historians, Manning Clark Professor of Australian History and Head of the Department of History. He was the author of numerous important books on Australian history and biography – including highly successful works on Ned Kelly and Eureka – but John also published in Italian, British and Irish history as well as writing two volumes of memoir. John led a successful campaign to stop the dismemberment of the ANU and amalgamation of the old Faculties of the Australian National University with the University of Canberra, and an unsuccessful campaign to have a Canberra team in the Victorian (now Australian) Football League. 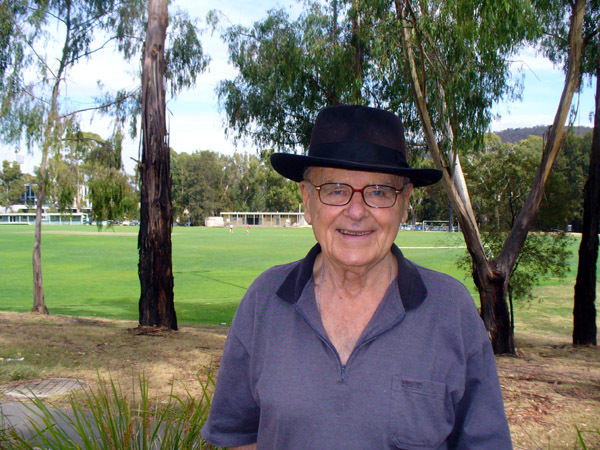 John was a major contributor to the Canberra and national communities in a very wide range of fields: the Catholic Church, the Labor Party, the Republic, and the ACT Australian Football League being among his interests and involvements. He also remained until the end a great friend to the School of History, the Australian Dictionary of Biography – for whom he was still a reader of all entries – and the ANU, especially through its Emeritus Faculty. Still active as a scholar in his nineties, John recently published a major work on James Cook and presented a superb paper at the 2018 Australian Historical Association Conference. Much more will be said in the days and weeks to come about John’s many remarkable contributions to Australian life. John’s funeral is at St Vincent’s, Bindel Street, Aranda, at 1.30 pm on Friday, 21 September. Professor Bongiorno’s note on the ANU website. There is a Wikipedia entry on Professor Molony and some ANU biodata.